Father, let me serve You steadfastly. 42. And they continued steadfastly in the apostles' doctrine and fellowship, and in breaking of bread, and in prayers. 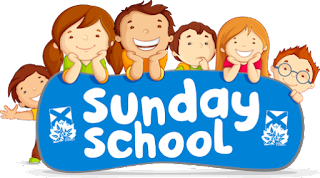 LESSON INTRODUCTION: INTRODUCTION : A close study of the daily life of the first apostolic church reveals certain peculiarities worthy of note. This seems to run contrary to some trends noticed in some churches today. We need to examine what the early church looked like and practiced in order to realign ourselves with the will of God for His Church . ii. Fellowship - Warm and healthy horizontal relationship with one another and vertical relationship with the Almighty God. Vs. 42b. viii. Had all things in common, similar behaviour, bowel of mercy and rendering support. Vs 45.
x. Appreciation -0Thanksgiving to God. Vs 47. LESSON OUTLINE 1: SOME SHORTCOMINGS OF THE PRESENT - DAY . i. Human philosophies and motivational talks have replaced the Apostles' doctrines. 1 Cor. 2:4, Col. 2: 4,8.
iii. True, genuine and agape love has been replaced by suspicion. 1 John. 3:18, Heb. 10:25.
iv. Sacrificial giving is gradually fading away. Acts 2:45, Psalms 69: 9.
vi. Envy and strife, suspicion and hatred have found their ways to the church. James 3:14, 16.
vii. Gimmicks resulting in fake miracles, lies, exploitation, intimidation, evil packaging, deception etc. 1 Tim. 6:3-7;Eph.4:14; 2 Cor. 12:16-17. CLASS ACTIVITY 1: Class to identify the effects of the above stated work of the flesh and the devil in addition to secular-like songs and indecent dressing to the church. i. Steadfastness in Apostles' doctrines, fellowship, prayers and breaking of bread from house to house. Acts 2: 42-44.
ii. Warm, truthful and loving fellowship. 2 Cor. 2:13; Phil. 4:10.
iii. True signs and wonders were common in the early church. Acts 243, 4:14; Mark 16:20.
iv. Unity in love and togetherness. Acts 2:44; John 17: 21.
vi. The early church enjoyed favour with all people. Acts 2:44.
vii. The early church experienced tremendous growth on daily basis. Acts 2:41; 4:4, 5:14. CLASS ACTIVITY 2: How can the above-stated qualities of the early church return fully into the modern-day church? SUMMARY : Jesus Christ is the same yesterday, and today and forever. Heb.13;8. The standard of the church MUST NOT CHANGE. CONCLUSION : While we cannot rule out the need for innovations and creativities that make the church of God lively today, the present day church must be modelled after the early church. EVALUATION : Mention four(4) shortcomings of the modern-days church and four (4) qualities of the early- Christian church. CLOSING PRAYER : Father, let the five(5) of the early-Christians church return to our present day church. ASSIGNMENT : Students should find ten(10) qualities of the early -church from Acts 2:41-47.